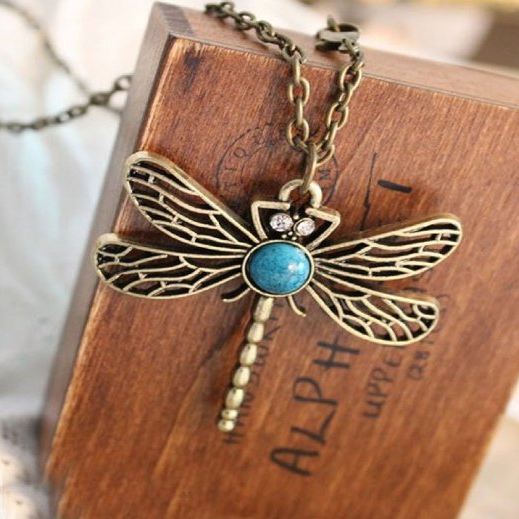 Vintage Dragonfly Necklace Only $1.95 PLUS FREE Shipping! You are here: Home / Great Deals / Amazon Deals / Vintage Dragonfly Necklace Only $1.95 PLUS FREE Shipping! Vintage Dragonfly Necklace on $1.95 PLUS FREE Shipping! This Vintage Dragonfly Necklace is Only $1.95 PLUS FREE Shipping! It has a long chain and would be perfect if worn with a tunic. It would make a great gift for a teen or pre-teen in your life. Get yours now!